The work of Mario Merz (born 1925 in Milan – deceased 2003 in Milan), a leading figure in Arte Povera, delves into the processes of transformation found in nature and in human life. One of the first artists in Italy to work in the medium of installation, he began in the 1960s to move past the two-dimensionality of painting by piercing his canvases and objects with neon tubing. In 1968, he introduced what became one of the most recurrent motifs in his work: the igloo, a structure he would continue to explore throughout his career. 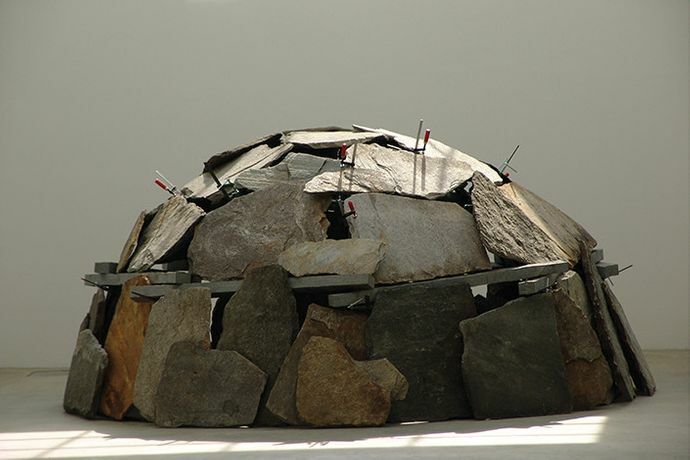 His igloos, a metaphor for inhabited places and spaces, often have metal frames covered in fragments of materials as varied as clay, glass, stone, jute, and iron. 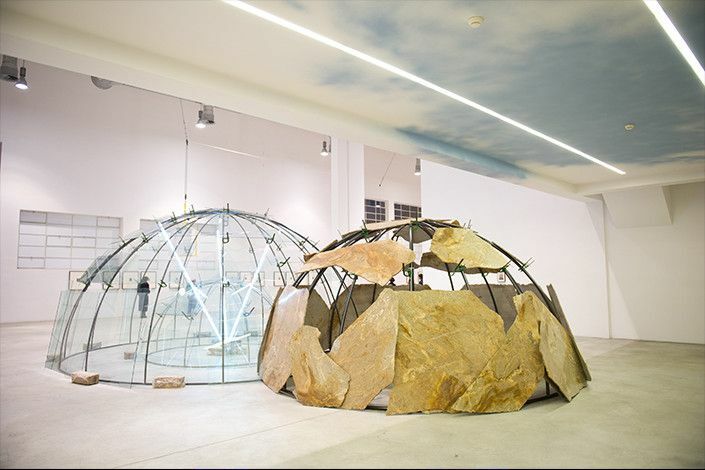 The exhibition is realized in collaboration with Fondazione Merz in Turin and will bring together in the Navate space of Pirelli HangarBicocca over thirty igloos made between 1968 and 2003, examining the most significant facets and themes in this body of work: for example, the relationship between inside and outside, between conceptual and physical place, between individual and collective space.